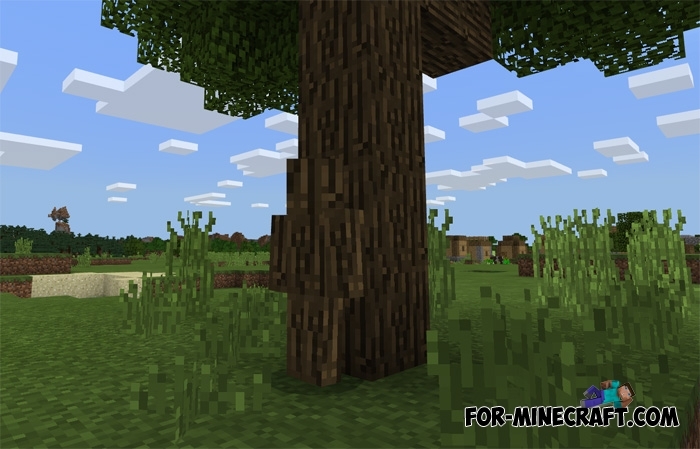 This is a very unusual skin pack for Minecraft PE 1.2 which adds more than 20 skins ideally suited to hide. With them, you can become one with a tree for example and other players will simply not see you. Of course, very sharp players will be able to distinguish between camouflage and the background, but only if they approach you close enough. The pack can be useful during hide and seek, you will only have to turn off nicknames. This version contains all building blocks as well as stones and ground. Just select the skin and move as close as possible to the blocks to become invisible. 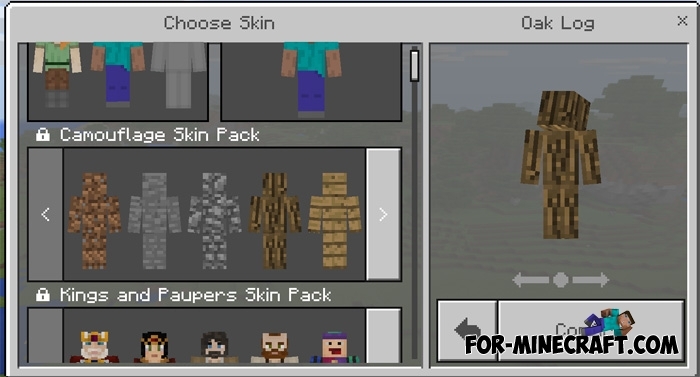 The rest of the skin packs are here - Skins for Minecraft Pocket Edition.